Jeanette Durham is a Maine family law attorney with a focus on divorce, child custody, child support and guardianship matters in York County. Committed to providing Compassionate, Dedicated, and Effective representation in Southern Maine. Jeanette Durham has represented clients in family matter disputes involving divorce, judicial separation, protection from abuse, guardianship, child custody and child support; dedicating her practice to helping families located in Southern Maine. Jeanette offers her clients well-reasoned litigation strategies and personalized attention. 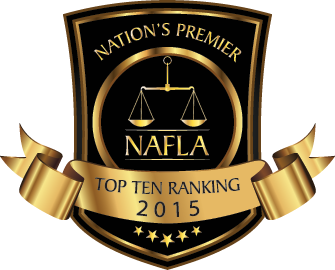 In 2015, she received the “Top 10 Under 40” award from the National Academy of Family Law Attorneys. Prior to earning her juris doctor from the University of Maine School of Law, Jeanette spent six years in the child support enforcement division at the Maine Department of Health and Human Services where she was the designated court agent in family matter cases to establish or modify child support orders out of the York County probate and district courts. Jeanette's participation in hundreds of family matters provides her with a superior understanding of Maine's family support laws. Since becoming a licensed Maine attorney, Jeanette has dedicated her practice to family matter litigation. Once Jeanette is hired to represent you, she will listen to you to gain an understanding of your circumstances and concerns. She will then meet with you to discuss your options, and once you identify your long and short term goals, she will work with you to build your best possible case for trial. By planning early and staying organized throughout the process, Jeanette will aggressively fight for you - keeping you informed and communicating in easily understandable terms. She frequently provides her clients with "To-Do" lists so you know what she needs from you. Jeanette is extremely organized, responsive, and works tirelessly to provide you with the guidance and direction you need to get the results that you desire. Jeanette is licensed to practice law in Maine and is a member of the York Bar Association, the Family Division of the American Bar Association and the Family Law Section of the Maine State Bar Association. Please do not include any confidential or sensitive information in your email or phone message.